True classics never fail to make an impression and this is certainly the case for the Wave Table from Boca do Lobo. Nowadays, the traditional coffee table is no longer the only way to decorate the living room; recently coffee tables are taking original shapes and designs that give the living room a whole unique look through unusual forms and new materials. Wave is an original and a stylish coffee table for a modern living room as it is also an unconventional centre table for your sitting room. With great style and elegance it creates an exclusive ambiance to your modern interiors. 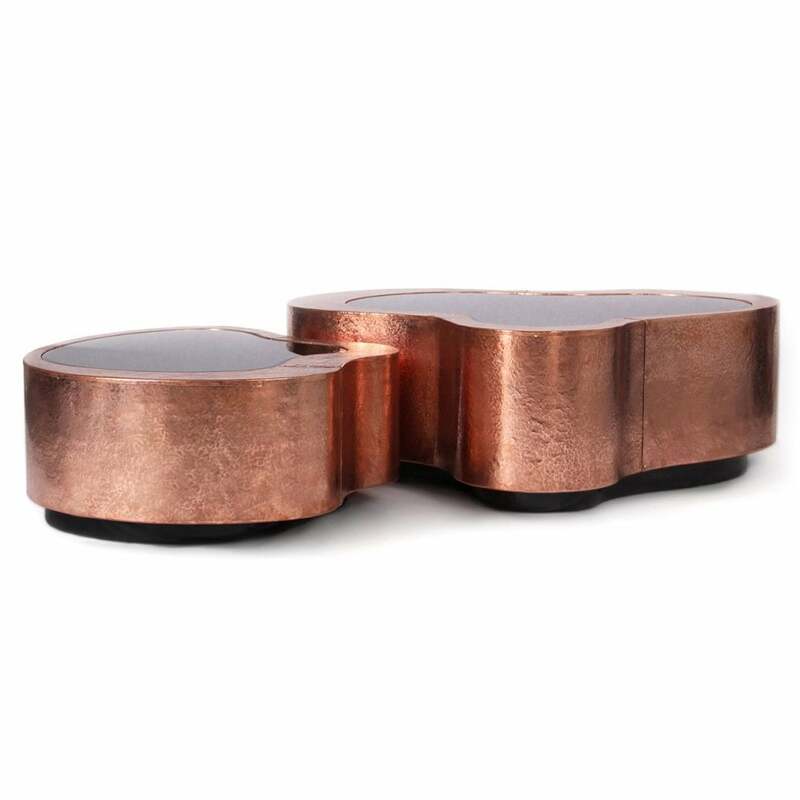 Developed by a Portuguese jewellery artisan, this piece is made of hand hammered copper with a black mirror top. small.